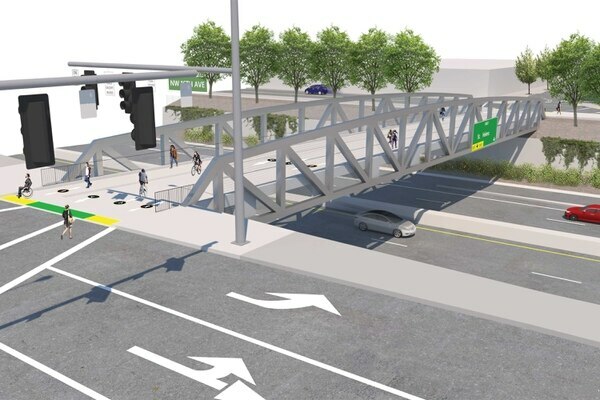 In August, the city begins construction of a bike bridge that transportation leaders say will become a new symbolic entrance to Portland. The $13 million project, for both biking and walking, will connect the Lloyd District to Southeast and knit together the inner eastside. But the project will be more than that. "It's going to really be a postcard-worthy bridge that marks a key entrance to Portland," says Portland Bureau of Transportation spokesman Dylan Rivera. 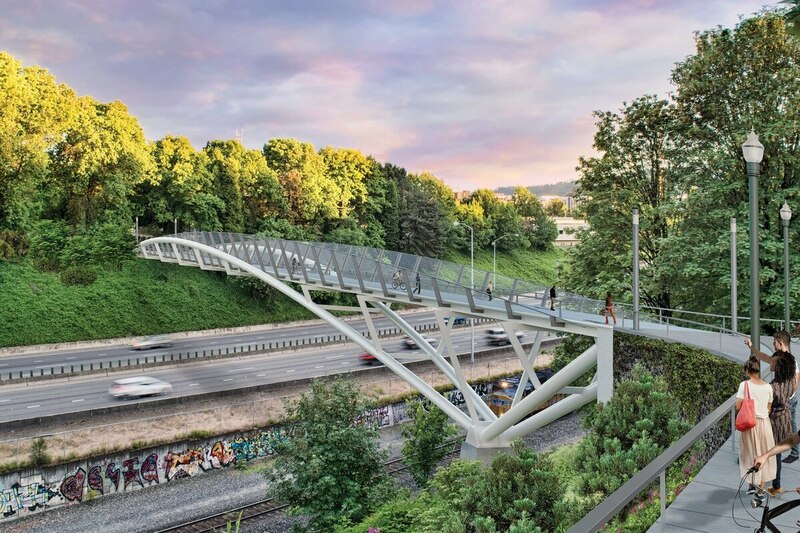 "As people arrive in the city and either drive or take light rail, one of the first times they'll see the downtown skyline, that view will be framed by the new, modern Sullivan's Crossing bridge over Interstate 84. We think it will have the potential to be an additional beloved bridge." It's a sizable investment for the city, and one of two that place a priority on getting around by bike and on foot ahead of cars. The hope for Sullivan's Crossing is that the bridge will make enjoyable what is currently a harrowing journey for cyclists. And it will depend on the city's plans for connecting Northeast and Southeast that are already underway. In the event of an earthquake, the bridge will also have an added benefit—it can handle emergency vehicles. The other overpasses were built before the current seismic standards, says PBOT. Portland is in the process of transforming its bike paths. 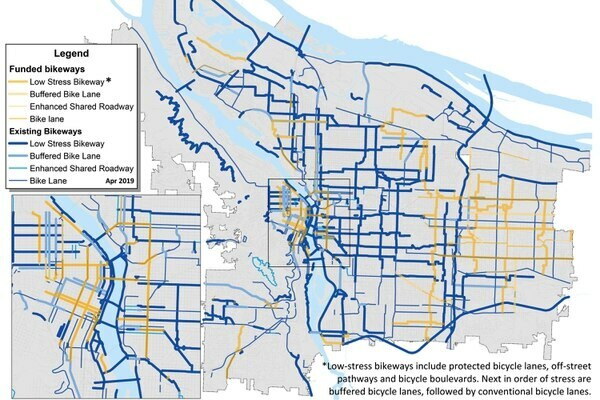 As of last year, there were just 5 miles of bike lanes where cyclists could ride along Portland streets physically protected from cars. By the end of the next five years, the city expects to have more than six times that number, with 29 new miles planned. As the map shows, the most dramatic changes are happening in East Portland and the central city. The projects funded include not just protected bike lanes but greenways and other bike lanes as well as projects to help buses move more quickly and keep people walking through Portland safe. While Portland has catching up to do to maintain its reputation as a bike town, one key statistic shows the city is willing to build for bikes—the central city will lose 1,000 parking spaces to make way for bike and bus improvements. In Northwest, Flanders Crossing is designed to ensure that cyclists have a straight path from the river to Northwest Portland. The $6 million Flanders Crossing over Interstate 405 will be the "linchpin," says PBOT's Rivera. "That will mean there's a direct route through the heart of downtown," he says. 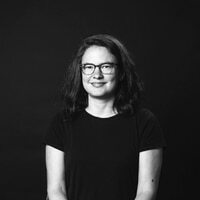 "The Pearl and Northwest Portland have the highest housing density in all of Oregon and possibly the Northwest. That community is built for biking."